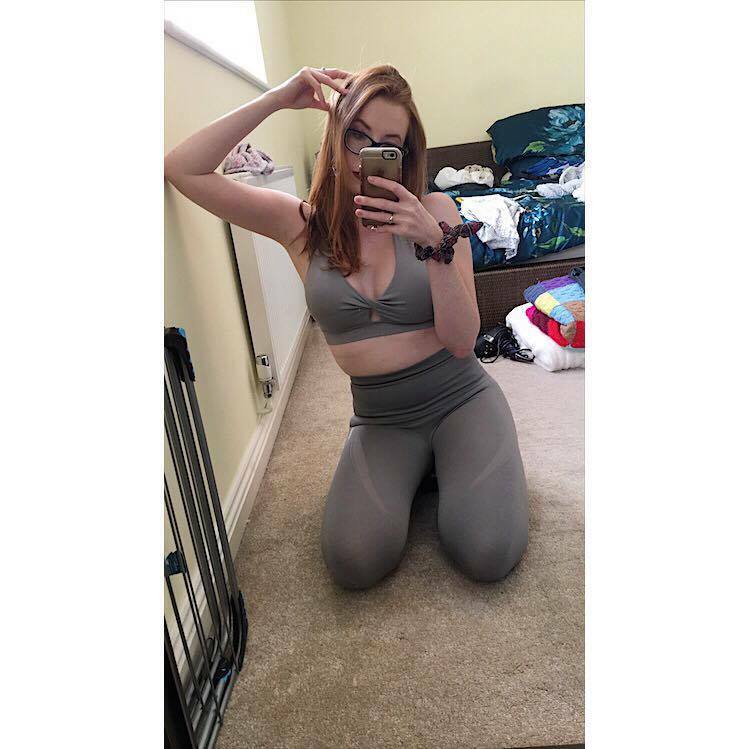 Okay, so before I start this review, I need to give the disclaimer that yes, I do love Gymshark, and yes, I had heard about the certain issue with these leggings prior to buying them and ploughed ahead blindly regardless, sigh. 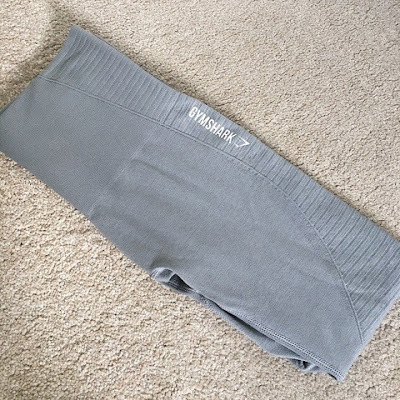 Within the past year or so, I've become a massive fan of Gymshark, after buying my first set of their iconic Flex leggings back in November 2016. I loved them, they were flattering, they were comfortably, and most importantly, they made me feel like I actually had a bottom - amazing. Fast forward to the summer 2017 and I attended the Gymshark pop-up in Covent Garden. I was mostly there for the Nikki Blackketter range, as I could get my greedy little hands on them fast enough. The shop itself was busy, crowded and the line for the changing room was hideous, so I took my chances with my normal size in the Nikki leggings and off I went, praying deperately that they fit over my bum. By some miracle, I had got it right. Not only had I got it right, but they were even better than the Flex leggings. They had a super cute waist detail that was very flattering, as well as laser cut-outs in the right places. Perfect. Another happy customer. Now drumroll, it's on to the main culprit of the review, the Gymshark high waisted seamless leggings in 'slate grey marl'. The hype around a new release within Gymshark means that (usually) if you aren't sat with baited breath on their website for the launch, then you usually miss out on getting your hands on a pair. Well not today Satan, I thought to myself as I loaded up the Gymshark page before work. When I finished work I just had time to say goodbye to the team before I was frantically ordering on my phone for the slate grey leggings. Presto. I had done it. Come to me, my beautiful babies. I sat by my living room window on the morning of delivery like a dog waiting for its master, and nearly ripped the postmans arm off as I took the parcel from him and bombed upstairs to try them on. I had heard a few comments about similar high waisted leggings being see through, but I chose to ignore this warning remarks and whacked them on proudly. The fit was flattering, the material was stretchy and I loved the lighter colour trim across key areas to give a more defined look. Now, here's the catch. Here is also the reason that I cannot show you the back of these whilst I'm wearing them, nor can I wear them to the gym for another other than a weighted arm session or a session which I can whack a very long shirt on that covers my bottom. Because that's the catch. These are see through. Not just slightly "I can probably get away with this" kind of see through, but the kind that means, no matter what underwear (or no underwear) you are wearing, every man and his dog will be able to see it, tell you the colour and probably the brand too. I was mortified. Mortified and wearing the wrong colour underwear for any photos. The problem was, I really like the leggings. I love the fit, they still give a flattering shape to my slightly twisted torso from breaking my pelvis, and they don't let sweat sit on your skin and cause a rash (Nike thermals, I'm looking at you). So, I kept them. I've kept them, I've worn them to the gym (with a long long shirt), and I've worn them to go to the shops in (Insta life, what can I say). Overall, I would give the leggings a 6/10. I am loathed to give them anymore, mostly due to the cost of them and the fact they are see through. Would I buy another pair? No, and that's the sad part, as I had my mind set on all the colours, but I can't justify the price of them to have to wear a long shirt and be restricted in when I can wear them. Top tip girls - squat proof these are not. Very pretty high waist seamless leggings. I am just in love with the color and your review is pretty decent. You know I love working out in leggings because they are best for free kinds of moves. Lately I bought a chic pair of spandex yoga leggings and sports bra from beyond yoga brand. This is made up of really high quality fabric.